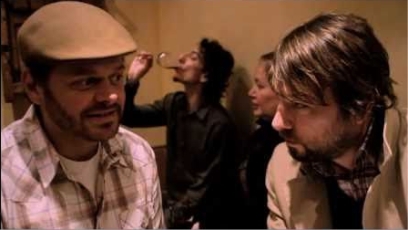 When in Spain in 2009, Eddie Roberts joined forces with Spanish deep funk outfit The Sweet Vandals’ rhythm section of Santi “Sweetfingers” Martin on bass and Javi “Skunk” Gomez on drums adding Chip Wickham’s (Blue Mode, The New Mastersounds and Nightmares On Wax) world-class flute & sax and Taz Modi’s funktastic Hammond organ from Leeds/UK, he sensed that this could be the beginning of something special. Burn! is proof that Eddie Robert’s instincts were spot-on. 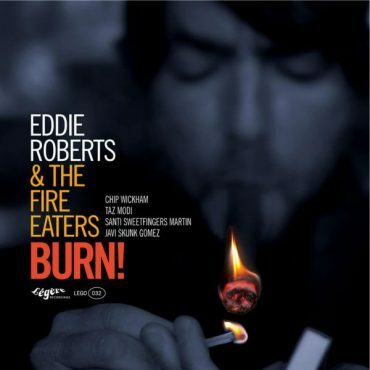 The Fire Eaters, as the combo was now called, recorded the album – produced by Eddie himself – in 2010, completing 12 tracks including a good number of Eddie Roberts and Chip Wickham originals as well as the band’s own versions of classic acid jazz and soul tunes like I Believe In Miracles and Lope Song for the album’s release in 2011. Listen and travel way back to a time when jazz had soul and there was freedom in the rhythm. Special re-issue in 2017 on red vinyl limited edition in the album’s original artwork. *Lope Song / *Lonely For You Baby / *Workout / *Cigar Eddie / *Latona / *Biskit / *I Believe In Miracles – master license clearance only.